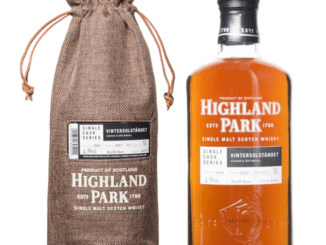 In 2016 Highland Park released their first single casks since 2005. 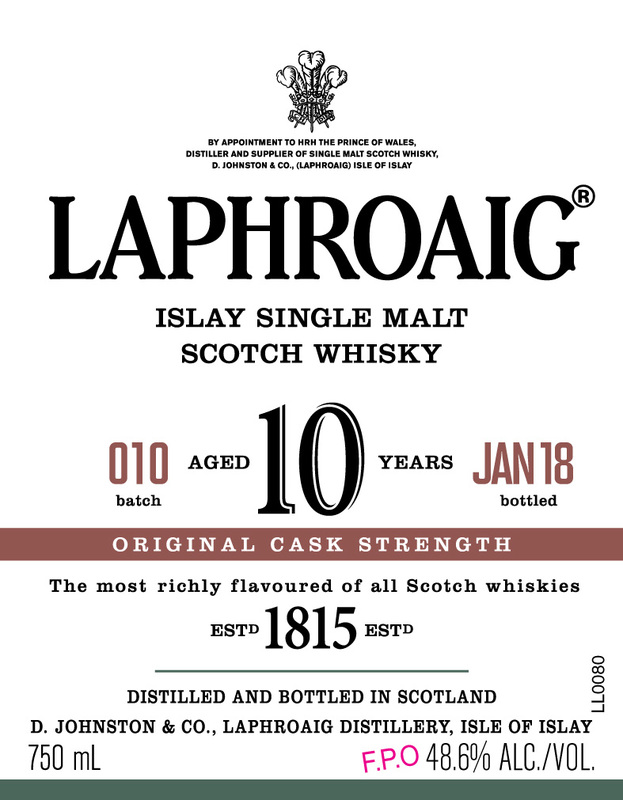 Here you can find information about the bottles being released so far for the Swedish market. 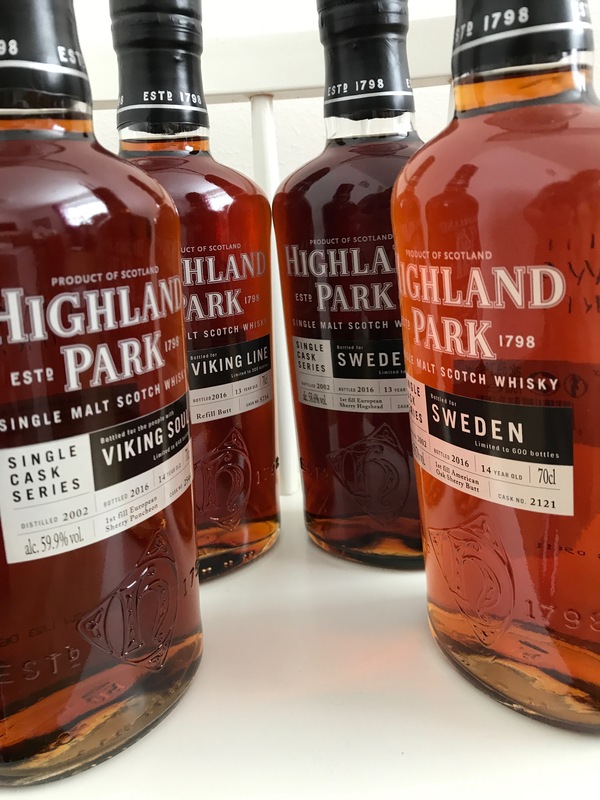 A short summary of the releases so far gives four have been released at Systembolaget, two at the Cinderella Whisky Fair, one for a private whisky club and one exclusively for a pub chain (meaning it has never been sold as a bottle to the public). 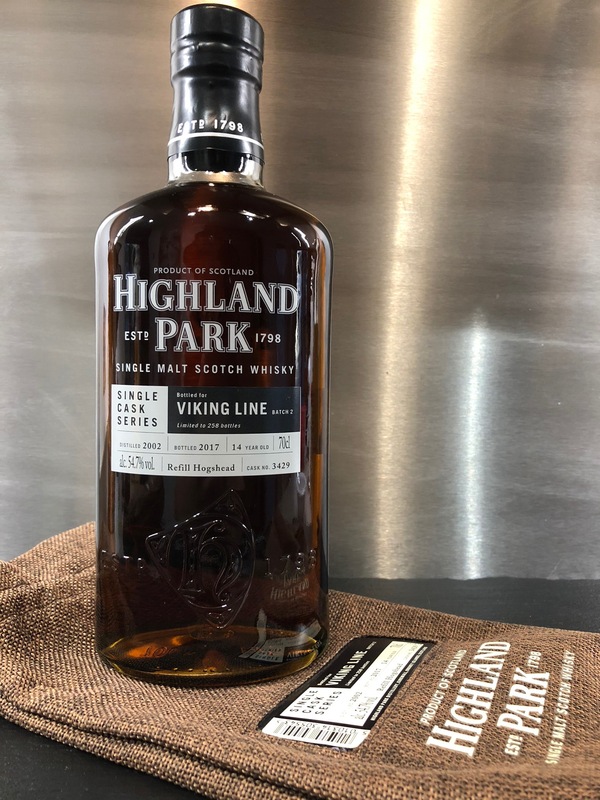 The first three releases #6403, #2121 and Viking Soul stood out compared to the other single casks Highland Park released around the world by not having a jut bag accompanying the bottle. The rumor says it didn’t comply to Systembolaget’s strict rules for marketing alcohol beverages in Sweden. However, something must have changed because the jute bag came with the November 2017 release of Vintersolståndet. 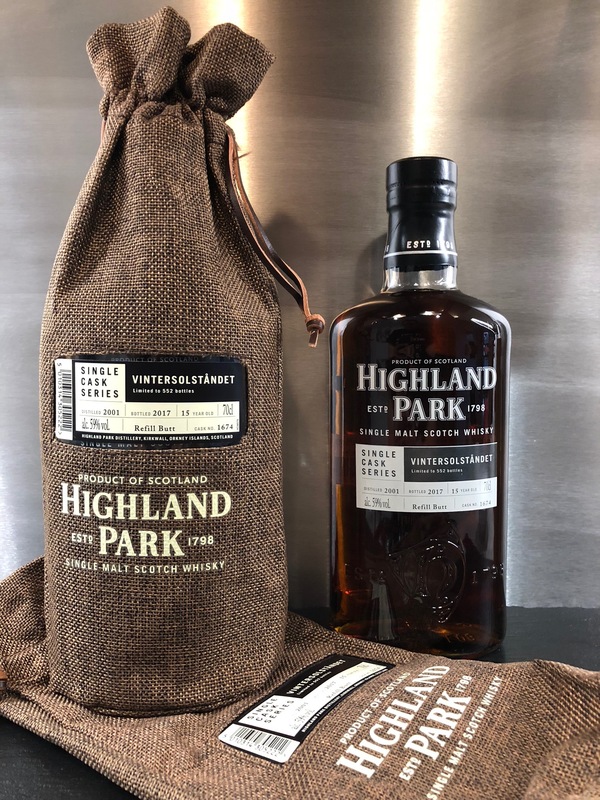 Here you can find an updated list of all the Highland Park single cask releases since 2016! Notes : NO jute bag. Released Oct 2016 at Systembolaget, 300 bottles (185 bottles at Systembolaget others were released to restaurants and pubs in Sweden). Notes : NO jute bag. First batch of labels were misprinted with the ABV 60.5% wrong label, no bottles with this label was realesed though. Released Dec 2016 at Systembolaget, 600 bottles (400 bottles at Systembolaget). Notes : WITH jute bag. 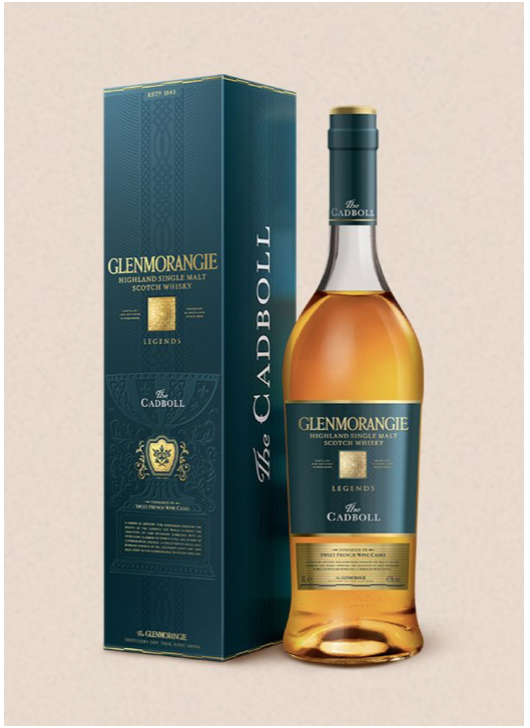 Released 2017 at Cinderella Whisky Fair, 300 bottles. Notes : NO jute bag. Released Mar 2017, 648 bottles (560 bottles at Systembolaget). Notes : WITH jute bag. Released Sep 2017 at Cinderella Whisk Fair, 258 bottles. Notes : WITH jute bag. Released Nov 2017, 552 bottles (538 bottles at Systembolaget). Notes : WITH jute bag. Released Nov 2017, 576 bottles exclusively for the Swedish whisky club SMAD.